From the compact size of the Encore to the luxurious spaciousness of the Enclave, there are plenty of reasons to choose a Buick for your next SUV. 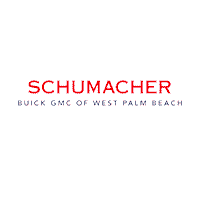 Schumacher Buick GMC of West Palm Beach offers a diverse range of Buick vehicles, making it simple to find a new set of wheels that meets the demands of your everyday drive. Ready to learn more? Check out the top features of these Buick SUVs. Displaying a sleek, flowing profile, the Buick Encore compact SUV was meant for the spotlight. And while it may be smaller than Buick’s other SUV offerings, there’s still plenty of room to seat 5 with cargo space to spare. Available all-wheel drive (AWD) and stability features transform the Encore from a city driver’s dream come true into an outdoor adventure machine. Find the 2018 Buick Encore for sale in West Palm Beach. The 2018 Buick Envision cuts a striking figure with dynamic lines that flow into a subtle rear spoiler. Beneath the hood, available engine options deliver up to 252 horsepower, offering a power-packed, responsive ride. And inside of this compact luxury SUV awaits a modern interior with a flexible cargo and passenger space. It’s a cabin that’s easily tailored to meet the needs of your next drive. Shop for the 2018 Buick Envision, for sale in West Palm Beach. Elegant sculpting and premium design features make sure the redesigned 2018 Buick Enclave midsize SUV stands out from the crowd. Gear up for your next vacation with an available trailering package and a 310-horsepower engine that makes strength the standard — all without sacrificing efficiency. Within the Enclave’s cabin, premium materials supply an upscale feel, while customizable seating and storage space makes it easy to bring along the right amount of cargo for any occasion. Discover your 2018 Buick Enclave for sale in West Palm Beach. Seeking Buick cars for sale in West Palm Beach? Schumacher Buick GMC of West Palm Beach stocks a wide range of new and pre-owned Buick SUVs, including the Encore, Envision, and Enclave. Visit the dealership today to test-drive or learn more about your SUV of choice.